Vital Digital Global, parent company of Digi-cards download cards and global leader in the manufacture of multimedia download cards, announced today that it is taking steps to sell music albums via download cards of more than 20,000 major recording acts, from new releases to music catalog. 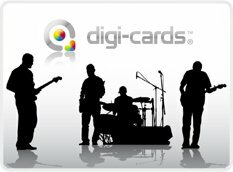 Digi-cards have been long known for helping indie artists, DJs and small record labels sell music physically at gigs and events. It is also known for being the only download card company to work with some of the most famous recording artists in the industry; however, it was always just in the form of supplier. 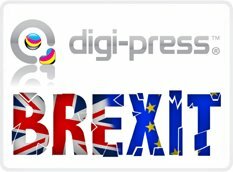 With this new business model, Digi-cards would enter the music download industry as a distributor with the potential of creating a new income generator for thousands of recording artists, composers, publishers and musicians. Details of this new venture and the mechanics of it have not been disclosed, except for the fact that it will offer both types of music downloads: Compressed (MP3) and Non-compressed for HD with the best audio quality. It will also offer video downloads, lyrics, photos, etc. With regard to the timing and launch, Jerry Harp (International Sales Manager) said: "We expect to launch our first music albums by the Fall of this year". 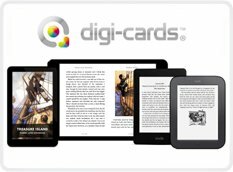 For more up-to- date information, visit www.digi-cards.com or www.download-cards.com. 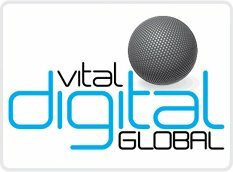 On the eve of the tenth anniversary of what is now Vital Digital Global Corporation (VDG), Gerardo Alton Ortega (CEO), will make various announcements about the future of the company, new developments, products and brands planned for the next few years and discuss the expansion plans and status. This announcement is expected to happen on September 1st of the present year. During the past two years, Gerardo Alton Ortega has been driven to make VDG the most efficient company in the world. "I want to rewrite the books on how companies are run,” he stated. “We are in the second decade of the new millennium, the eve of technology and people still run companies like it is the eve of the industrial revolution". Gerardo Alton Ortega also added, "Companies can become the most efficient with all the tools we have, the power of communications systems, and the internet. Wasteful spending is a thing of the past. It is no longer about how much a company makes, it is about how much money it saves". 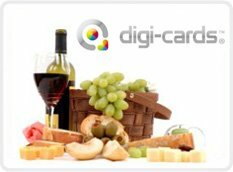 Vital Digital Global, which was formed after absorbing Vital Digital LLC to expand globally, has in its portfolio of products and brands: Digi-cards download cards (the largest manufacturer of multimedia download cards in the world), Digi-codes download codes, Digi-tags, Digi-passes and has recently launched Digi-press (a plastic card manufacturing company now available in the United States and Europe with future expansion into Latin America, the Middle East and Asia). Among the topics to be announced are the possibility to take the company public in 2017, the launch of Veri-codes, and a virtual currency card.